It was all because of Vladimir Putin. 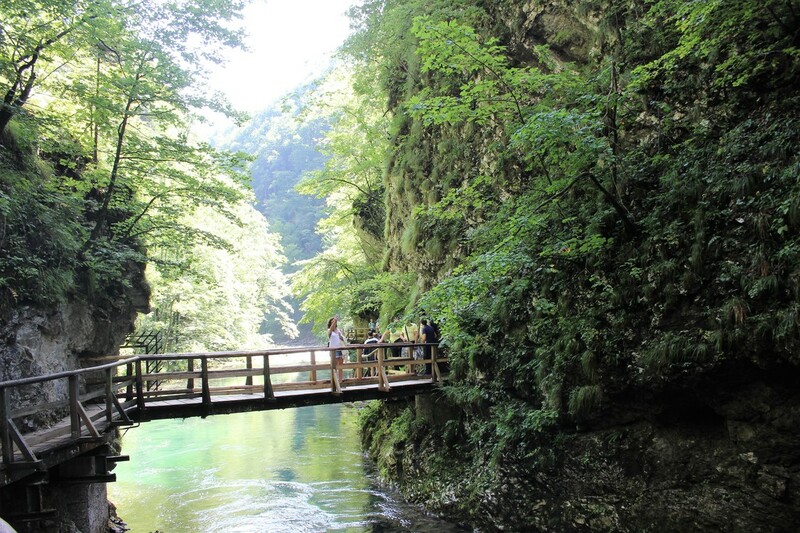 His arrival in the country coincided with ours and road closures meant we couldn’t go to see the Postojna Caves, an underground world of sculpted galleries, chambers, halls and glistening stalactite formations. We weren’t allowed to go too close to the Russian Chapel either; it was sealed off with an array of stern looking policemen ranged around it. Still, you can’t blame them for being cautious and there were plenty of other compensations by way of sightseeing for us to enjoy. Anyway to start at the beginning, for the few readers who don’t know where Slovenia is, it lies between Italy, Austria, Hungary and Croatia. It used to be part of Yugoslavia until that fell apart in 1992 after the death of Marshal Tito. It is much closer to the United Kingdom than you might think, with a flight time of around two hours. 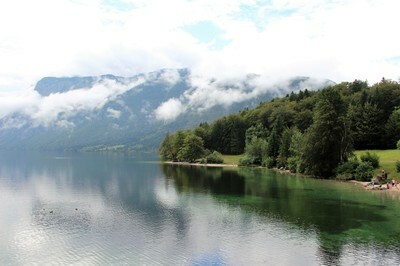 It is small, about the size of Wales, something of a beauty queen with snow-capped mountains, lush green valleys, dense forests of beech, ash and alder, rushing rivers and crystal clear lakes. If you wanted to, you could ski in the morning and surrender yourself to the luxury of the Adriatic Sea in the afternoon. Seaside towns include Piran, Italian in appearance because it was part of the Venetian empire up to the end of the 18th century. It has squiggly streets, a busy harbour full of bobbing-about boats and al fresco cafes overlooking the sea. 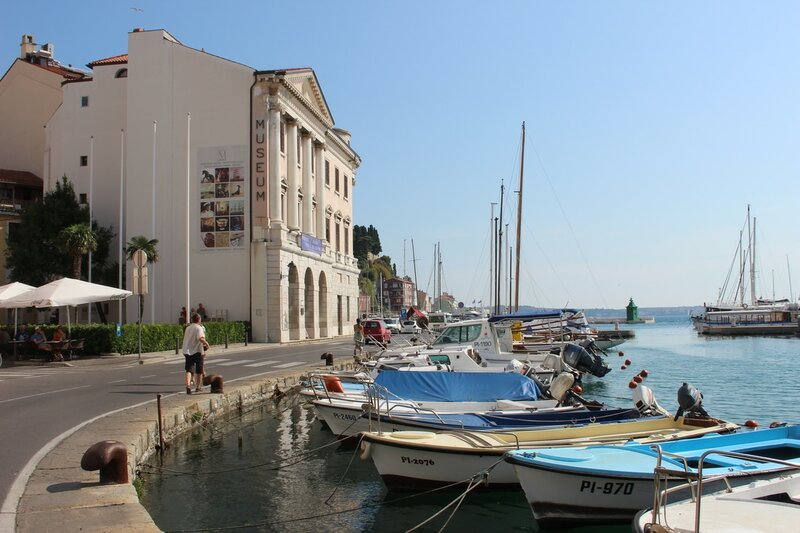 There’s Portoroz or ‘Port of Roses’ too. Bigger than Piran, it’s more modern, all glitzy casinos and grand hotels, with one of the largest marinas on the Adriatic coast. 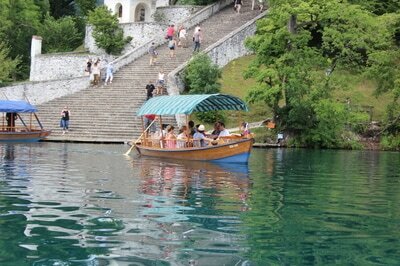 We were based in the resort of Bled in northwestern Slovenia. Located on the lake of the same name, it feels almost Mediterranean. Although those folks who can’t live without clubbing into the early hours could be disappointed because it doesn’t have any nightlife to speak of, it does have plenty of lakefront cafes, restaurants, pubs and an interesting market selling glassware, handmade goods and other bits and bobs. 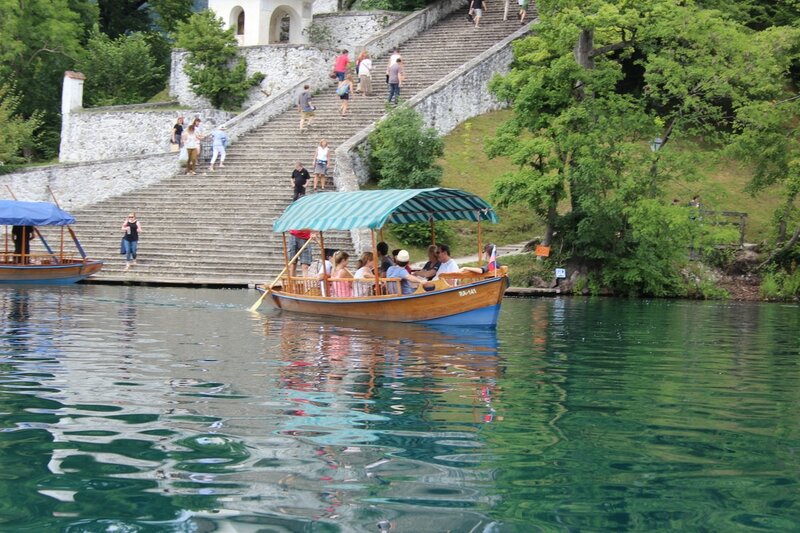 Many visitors who come here hire a car; the scenic Julian Alps aren’t too far away and there a mass of side trips on Bled’s doorstep including the mountain gorge of Vintgar which is where to see Slovenia’s highest waterfall. 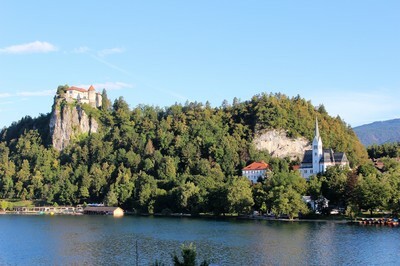 Bled’s castle, perched high on a cliff top overlooks the lake. The entrance price is fairly steep at ten euros per person, but if you eat at the restaurant there, then you get free admission to the castle, which seems like a pretty good deal as you can also visit the small museum, print works and wine cellar. ​​Lake Bled has another claim to fame in the shape of its 17th century church. It sits bang in the middle of a tiny island which can be reached by stretch gondola, or for those who prefer the DIY – and cheaper - approach, by rowing boat. It’s a romantic location and popular with those getting married. 99 steps lead up to the church door and tradition has it that the bridegroom has to carry his bride up those steps if they want a happy marriage. Let’s hope she isn’t too heavy…… Visitors who want to go inside the church have to pay an admission fee of six euros. The superstitious might go in just to have a go at pulling the rope which is attached to the church bell and make a wish. If you manage to get the bell to ring when pulling the rope your wish will come true. Well, so they say. We managed to pay a brief visit to compact capital Ljubljana, one of Europe's smallest capital cities and awarded the accolade European Green Capital 2016. The town, completely rebuilt after an earthquake in 1895, offers examples of Art Nouveau architecture including the Dragon Bridge which spans the Ljubljanica River. There are lots of dragon sculptures dotted around town because the mythical beast is their emblem. The skyline is dominated by the 12th century castle, which started life as a fortress before becoming a prison and later home to medieval knights. The restaurant serves good food and if you climb up to the terrace you’ll be rewarded with sweeping views. 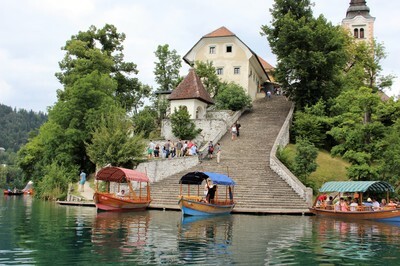 Our brief trip to Slovenia was almost at an end and we returned to Bled for a farewell dinner at a lakeside restaurant. As dusk fell, the twinkly lights around the castle high above lent a fairy tale - like ambience. A sight to behold, indeed, like so many others in this small land. I Love Meet and Greet offers valet parking at Gatwick, Heathrow and Stansted airports.